I like the first one, without the extra pixel highlight. It looks more like a solid obstacle. Completed a mock up of the double rock. Below is a comparison showing the original single rock (on the left) and new single rock (on the right) and a similar comparison for the double rock. Appreciate any feedback. The way you set this up, it looks like a couple of conveyor belts: Rocks go in, fireballs come out. Work on the hack continues and is nearing completion. Character Set: Over the past week I turned my attention to the character set and have now updated it to exactly match that used in the arcade game (despite the odd appearance of some of the characters). 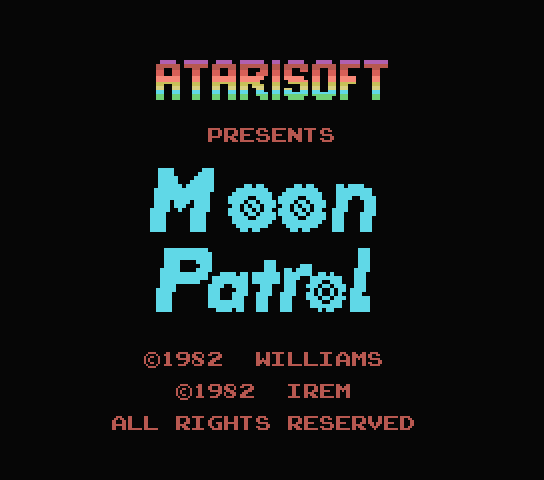 Title Screen: I have now moved on to updating the title screen with an attempt to create a slightly more arcade realistic title. I liked KevinMos3's italic version but felt it could do with a little refinement including adjustment of the character spacing. So, we now have four different versions of the title screen and I am looking for feedback on which one is preferred before I commit to one. If you have a preferred option but would also like to see some minor adjustments made then let me know. The screens are listed and shown below. 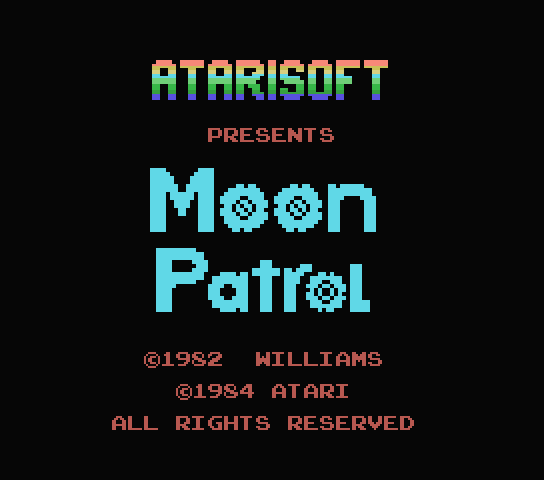 Once a title screen has been selected then I will finish off the other updates on that version alone. 1. 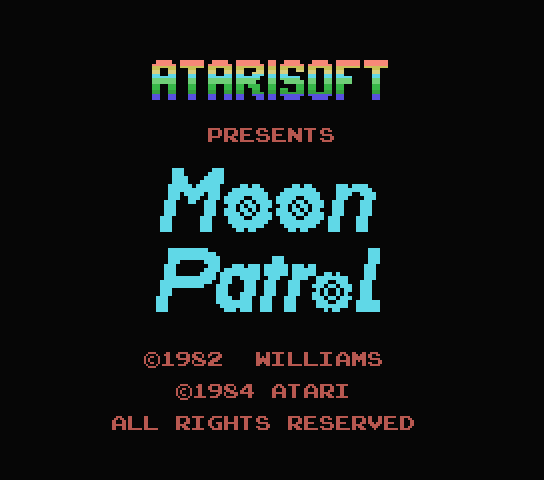 Non-italic screen as created by newcoleco. 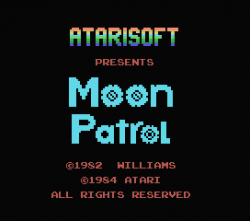 Characters are the same as the originals created by the programmer, Matt Householder, with the exception of the "n" which newcoleco created. 2. Italic version created by KevinMos3. All new characters with the exception of the "o" characters being the wheels created by Matt Householder. 3. Italic version created by Ikrananka. All new characters with the exception of the "o" characters being the wheels created by Matt Householder. 4. Italic version created by Ikrananka. 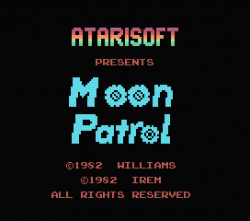 All new characters including the "o" characters which are about as close I can get to the arcade version in the space and resolution available. 5. 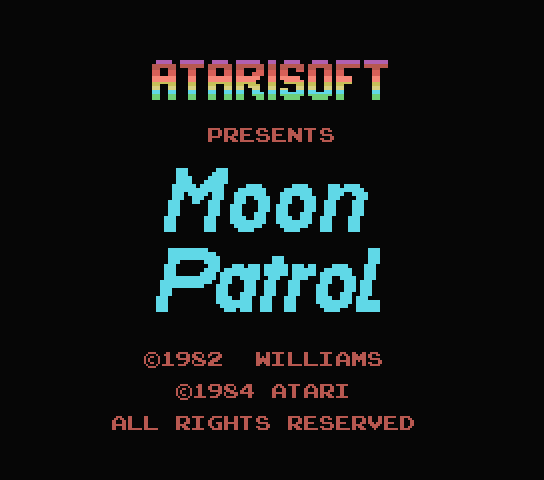 Arcade title screen for reference. Oh, I like the 4th one. 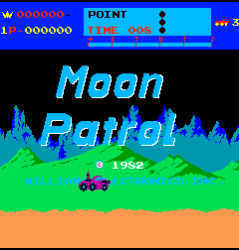 I do lke the wheels that are used for the letter "o" as it gives the CV version it's own personality, but in the end, this project of your's is about making the CV version of Moon Patrol more closely resemble the arcade version... so I pick the fourth rendition of the title screen as well. What Jim said. Exactly! May the Fourth Be With You. 1st. 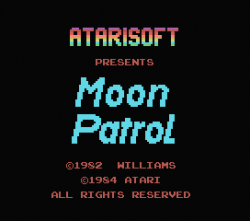 It would also be cool if there was a way to include the Matt Patrol proto screen in the game as an extra. I'll go with 4 also. This is a hack of the rom. Adding extras via hacking is completely beyond my skill set. I can only adjust what is already there. Yeah I figured as much. Just thought it would be a cool feature if possible. I must agree, the 4th one just feels right. Sorry for the long delay in following up on this topic. I completed the hack of Matt Patrol last month and am extremely pleased to say that CollectorVision has agreed to publish the game CIB sometime this year. Please note that this hack was only made possible due to the efforts of quite a number of people as follows. All of these people will be credited in the manual with the published game.